Christmas Eve dinner at Chez Salazar was – if I may say so – a satisfying success. 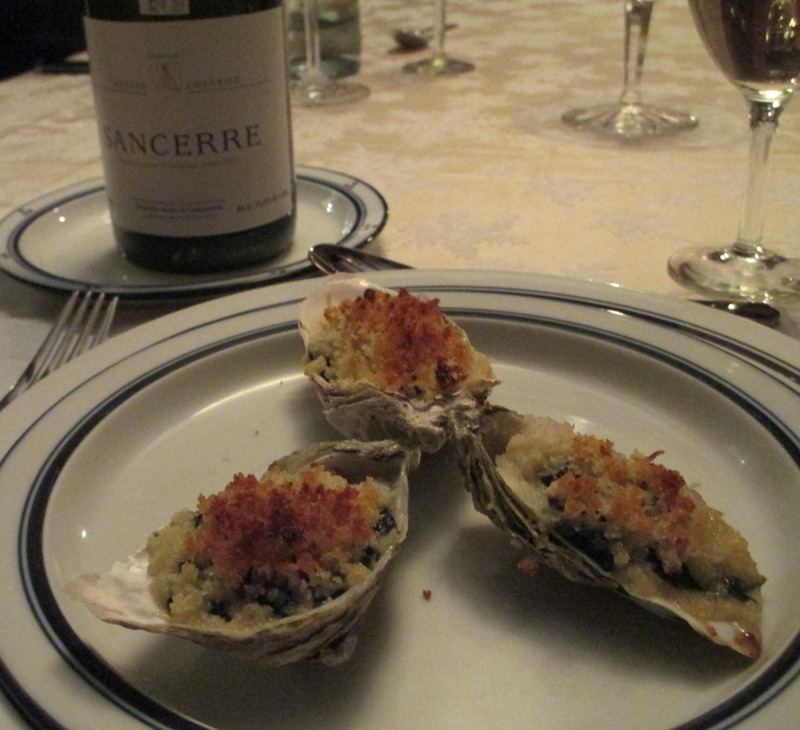 The Oysters Rockefeller were from a recipe by Tyler Florence. A little too much Pernod, but still they were great. 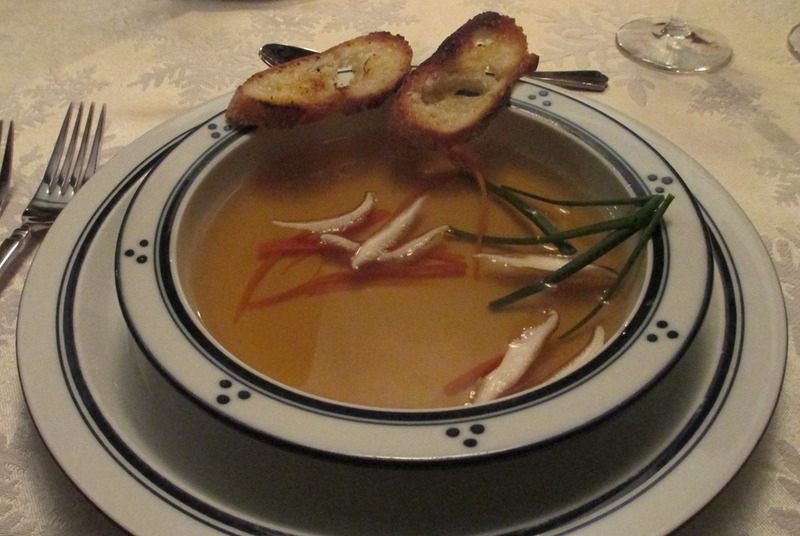 Consommé came out well: clear, beefy and with that smooth feel that comes from the bones in the stock. Jacques Pepin’s recipe was our guide here, though this is a dish where the technique – not that difficult, really – is the important part: Do not over-boil, but just let the soup simmer so it gently bubbles up through the “raft”. Finishing with a splash of madeira worked out nicely. Next came the Sole meunière, made with grey sole filet (actual whole Dover soles being hard to come by nowadays). 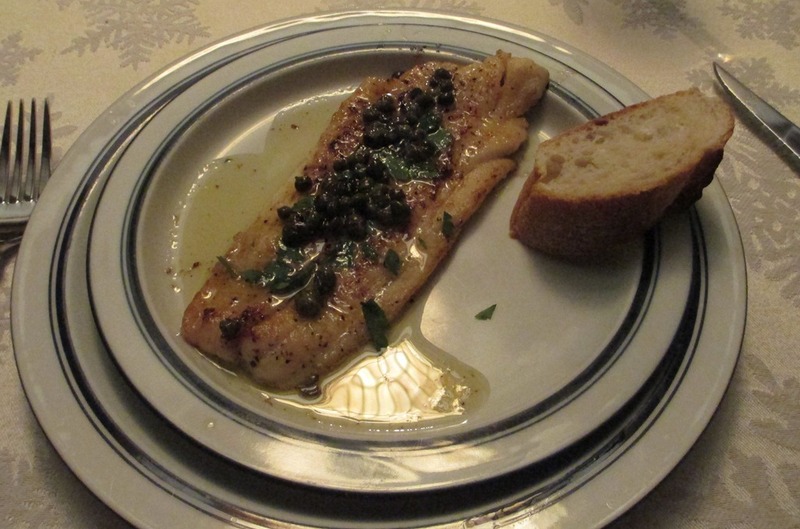 This is totally simple – season the fish, dredge in flour, fry in butter and a little olive oil; when brown move to the serving plates, then in the same frying pan make a beurre blanc with lemon juice and capers; finally, pour the hot sauce over the warm fish so it sizzles. Total time, from filets to plate: about 7 minutes. This was good fish. 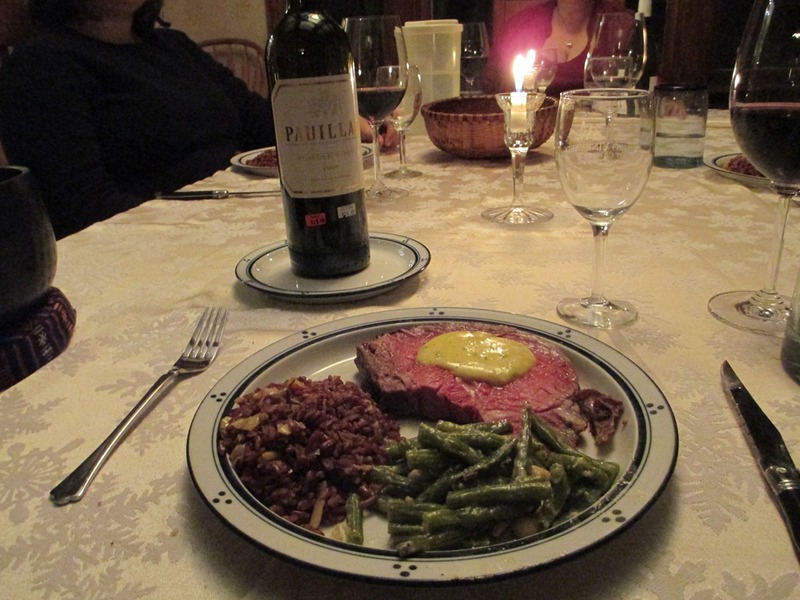 Finally, the entrée: Prime Rib of Beef with Sauce Béarnaise, Red Rice from the Camargue, and ginger-cashew green beans. It has been some years since I last made an egg-based sauce, and I have had my share of scrambled-egg sauce disasters. But I prepped by intensive Julia-watching, and the sauce was a success. Make sure you use enough vinegar! The red-rice is a traditional Christmas dish in France, usually made with peas, scallion, leeks or other green vegetable to create a red-green holiday motif. If you’ve never tried this rice, well, try some; the flavor is nutty, a bit sweeter than brown rice, and has a nice “crunch” that makes it good for both warm dishes and cold rice salads. We made ours with braised leeks and red-pepper. The ending was Kim’s pumpkin mousse pie. This is a much lighter pumpkin pie, with beaten eggs and cream, and pumpkin folded in. Since I missed Thanksgiving this year, I prevailed upon Kim to make this for Christmas Eve. The butter-crust came out perfectly. 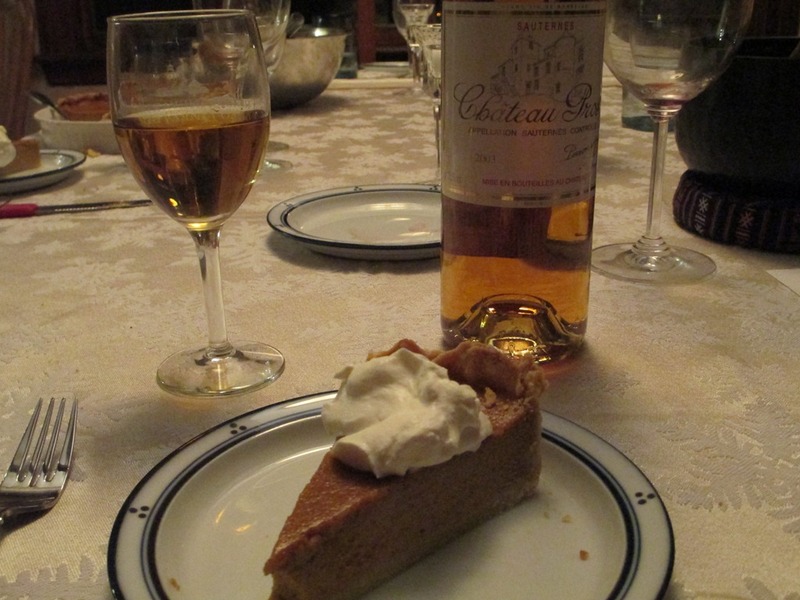 I have to say, much as I like apple pies, this pumpkin pie is my favorite of pies. Maybe this seems like a lot, but half the fun here is in the cooking. We begin noontime or so, starting the early parts of each dish, having some snacks, some wine, a little more cooking, a little more snacks … you get the picture. The tones are clear, and as they fade they take away the rushing of the day, the week, the year. This is not a time of year to rush – I want to savor the lessons of the season and truly taste the things before me. I hope you all had a Merry Christmas, a Happy Holiday, a Peaceful Solstice. I and the family will be ringing in the New Year from Pune – talk to you all in 2013. 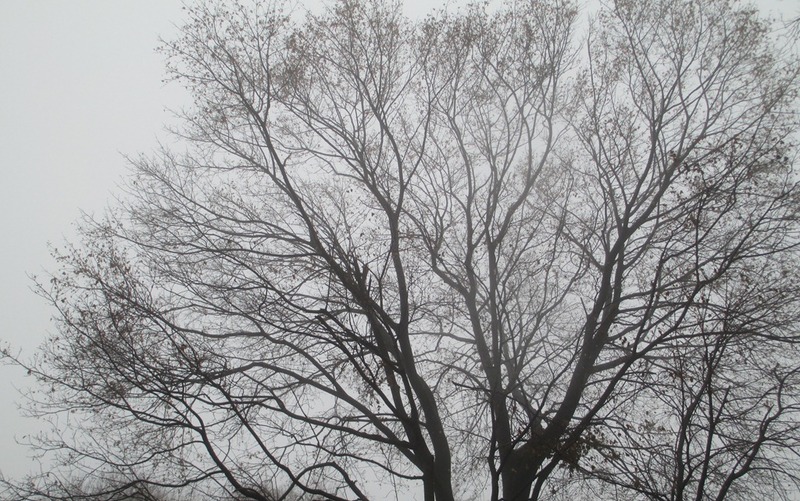 The trees in New England have lost their leaves, the skies are dull metal and I am home again. Strangely I find these grey scenes comforting and familiar. Home with my family for Christmas, we’ll eat and celebrate with friends, spend some time preparing for the long journey away, then just before New Years’ wife Kim and daughters Alex and Morgan will return with me back to Pune. Weather. In India I have not seen a drop of rain for months, since even before my last visit end of September. Here the skies seem profligate in their threats and acts of precipitation. Faces. I think unless you are away from home a long time you wouldn’t know this feeling, but I think it happens to everyone: You miss the faces of home. I’m always happy to see the faces of my Indian friends, and in India watching faces of passerby always offers something new. But when you see a hometown face after a long time away it’s a good feeling. Its especially strange when you think, in my hometown at least, the faces I’m used to are white, black, brown and yellow, Western and Eastern, Northern and Southern. Food: As much as I love Indian food – which is a lot – I‘m looking forward to some Western holiday dishes, such as Baked Oysters, Consommé, Roast Rib of Beef with Sauce Béarnaise, and for dessert, the pumpkin pie (or close equivalent) I missed for Thanksgiving. The holidays are nearly here – time to start planning some celebration. To my friends, both East and West, be well. Last weekend I went to do some shopping on MG Road. (Mahatma Gandhi Road, virtually all cities in India have one.) 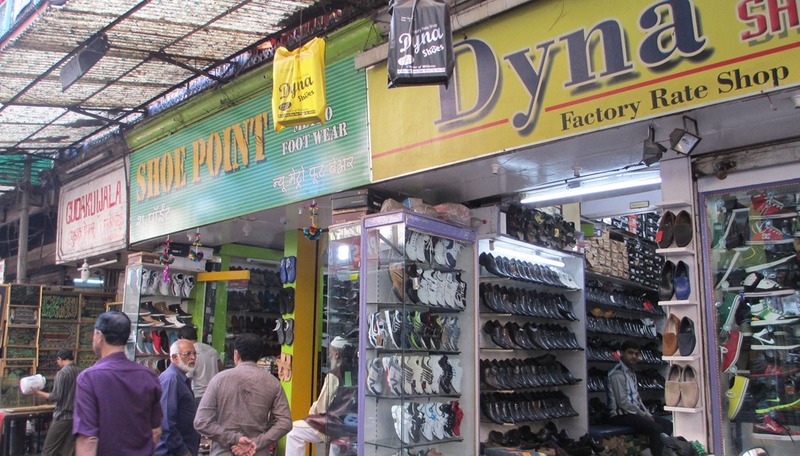 In Pune MG Road is a great place for shopping; if it’s physically for sale in the city, you can find it there. Shops you’ll find on MG Road range from typical Western brands – Adidas, Nike, Levi’s and the like – to a much greater range of Indian shops. There’s also places like The Bombay Store, that carry Indian goods but cater to tourists or higher-income Indians. Notice how there are two shoe stores right next to each other? This is kind of like having an Athlete’s Foot next to a Footlocker in the US. Why open next to your competitor and give buyers the opportunity to easily comparison shop? Apparently the logic in India is people won’t bother to make the trip to a place where there is only a single vendor – competition right next door is implicit proof this is a going commercial concern. I saw a lot of things on MG Road. 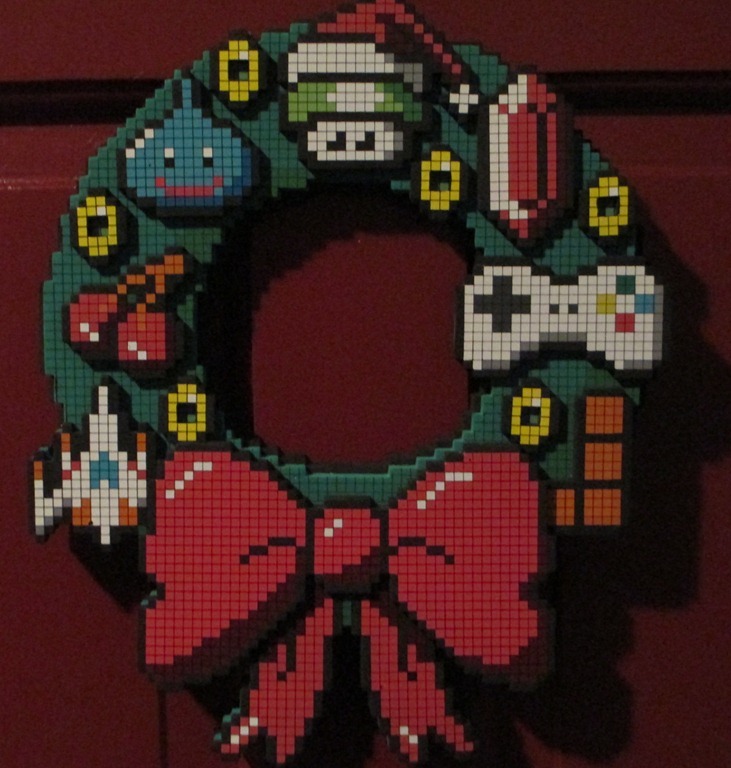 I really wanted to just get a sense of what was there, though I did have one idea for buying, namely: Simple things I could bring back to US as presents. India is famous for textiles, so I thought maybe scarves or simple kameez would make good gifts. Another thing on my mind was shirts. I have read several times that garments can easily be custom-made here – one place I read this was in IBM-colleague Bob Carlsen’s book Sacred Dust on Crowded Streets. That was on my mind as well. 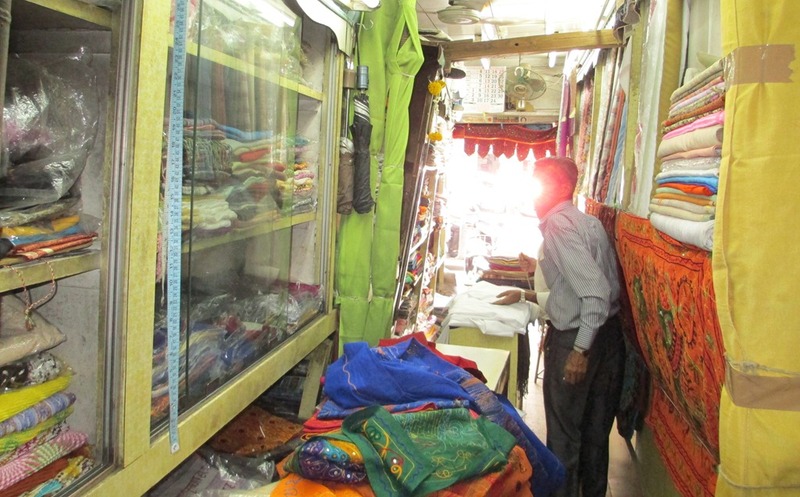 Like many Indian shops it is very narrow – 2, 2 1/2 meters side to side – but very deep, stretching back 20 meters or more. This was a cloth store and the shop-man, a Mr. Gobinda, was very excited to show me all he had. It now occurred to me that kameez was too ambitious of a goal – all the female recipients I could think of would very much prefer to take their own choices rather than mine – but scarves seemed a doable thing. These shawls are made of a fine wool thread; the company that makes them is named Oswal; I got 5 different color combinations. Thinking of shirts I inquired of Mr. Gobinda. To no one’s surprise, shirts could be had. Excellent shirts, the very best. Made precisely for you. Our shirts are famous, famous I tell you. Observe this cloth, sir, please feel it. What, the color does not please you? I remove it, I discard it, I send it far away. Perhaps these other colors? And trousers, sir … ? Excuse me, I digress. 40 minutes, several cups of tea, and one short stroll to the tailor shop later, I had arranged for 3 Western-style business shirts, of 3 colors in simple cotton, and 2 kurta-style shirts, in coarse red and brown silk. The results you see at the top photo. The cost of all this? 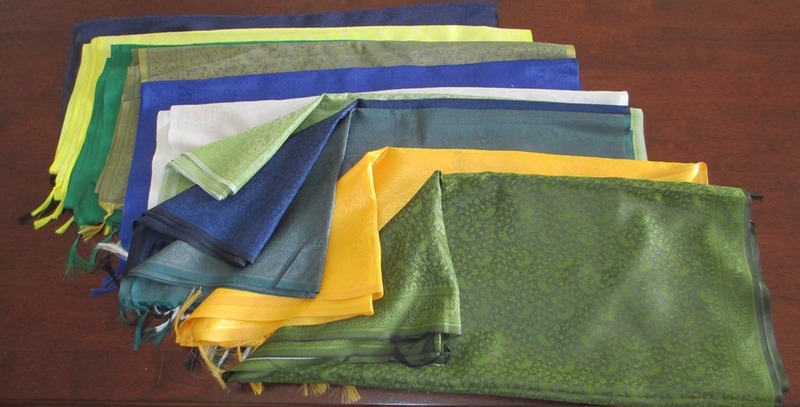 • 10 silk scarves, each 21” x 72” (plus 1 “for free”): Rs. 1000 ($19). 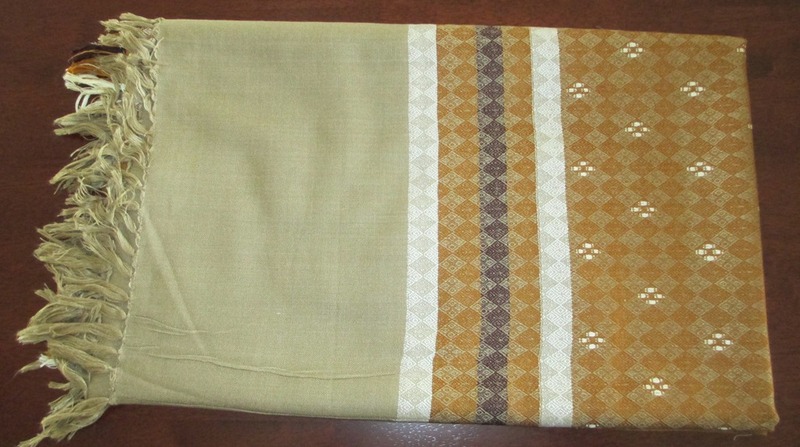 • 5 fine wool shawls, each 38” x 82”: Rs. 2,000 ($38). • Sewing of 5 shirts, 2 kurta-style with simple collars, 3 Western style with business collar and cuffs: Rs. 1,000 ($19). As I recall the cotton was about Rs. 200 or 250 per meter; because I had long-sleeved shirts I believe 3.5 meters were needed per shirt. The silk was more, ~ Rs. 300 a meter, I can’t recall exactly, but I needed less because of short-sleeves. Off top of my head I have no direct reference points for buying fabric. But I buy shirts from Land’s End, LL Bean, etc. all the time. There a single shirt is at least $30 – let alone 5. Finally … tailoring for 5 hand-sewn shirts, for $20? It boggles the Western mind, until you do the math from an Indian perspective. The tailor has made a great many shirts before, so he knows what he is doing. As a guess, maybe it took him 2 full days to make my 5 shirts. If he is able to work at this level 30 days out of each month, he makes Rs. 15,000 per month, as much as a driver or many other average Indian people. And if because of his skill and experience, it only took him 1 day in all, then his earnings would be Rs. 30,000 a month, even better still. I’ll let people draw their own economic conclusions. I’m still thinking of all the scarves and shawls, the tiny 8” x 8” tailor shop, Mr. Gobinda’s cheerful mercantilism, and the straight-line stitching on my new shirt-collars. Sounds like he has adopted the implicit policy of Yahoo comments. This author is apparently unaware his innane ideas on the economy have been discredited ever since Adam Smith wrote “The Road to Serfdom”. If we follow this plan the national debt will soon exceed $1 million per family, forcing our daughters to sell themselves to Russian energy magnates to pay interest on US Treasuries. Don’t you get it? The so-called stimulus failed!! Thats why we have 20% unemployment, $10 a gallon gas, a tanked stock market and government thugs trying to TAKE AWAY MY GUNS!!! But this is to be expected from Commie-Socialist dog-walkers like Ritholtz. Desi Arnez, where are you now that we need you? Whew. Not satisfied with my effort. Ritholtz sets the bar pretty high. A few posts ago I talked about crowdfunding, where people use sites like Kickstarter to find backers for projects or products. Most of the stuff on Kickstarter is consumer goods, artworks, even computer games like Project Eternity, of which I myself am a backer. I, like most people, have been assuming no major high-tech projects would come out of Kickstarter, because the resource and market requirements for meaningful products in that space are just too great. No one is going to crowd-fund a new enterprise data-warehouse tool, for example. Adapteva, a semiconductor start-up company, today announced the Parallella Kickstarter project to build an open and affordable, credit card-sized supercomputing platform that offers a 50x performance boost over existing open hardware platforms like Raspberry Pi. The truly disruptive performance leap of the Parallella computer is enabled by Adapteva’s 16-core and 64-core Epiphany microprocessor chips that lead the world in processor energy efficiency. I read about this in a piece by Hiawatha Bray at the Boston Globe. For $99 you get the Parallella add-in board and a C toolkit; the initial version works with Ubuntu. I have to think about this. The idea is now anyone can create, test and run highly efficient parallel code, which should port smoothly to higher-scale platforms. If you had an 16-core, or 64-core add-on on your PC, what would you want to do? Analyze all your emails back to the 90s? Do facial recognition and auto-tagging on 1000s of photos? Play chess? Up until now I have been renting a car. Renting or leasing a vehicle is different here than in the US. What you rent is a car and a driver who will take you wherever you need to go; the cost per day is Rs. 1,700 – 2,000 ($32 – 38). This is convenient and for short-term business trips perfectly fine. However as a long-time New Englander I have an impulse to economize. Also the basic car you get when you rent is a compact, like the Maruti Swift or Tata Indigo. When Kim, Alex and Morgan are here, all arriving with lots of luggage for extended stays, these little vehicles won’t cut it. A popular car site here is carewale.com (Hindi for “car merchant”). There I was able to research prices and features, and also re-sale value for used Innovas. Another variable in my cost analysis was salaries for drivers. For that I learned a lot from my colleagues at work, and also there are examples you can find on sites like indiamike.com. Then there’s the price of fuel. Petrol here is Rs. 75 per liter, or about $5.40 per gallon; diesel is government subsidized and is Rs. 49 per liter, or about $3.50 per gallon. Most vehicles here use diesel. 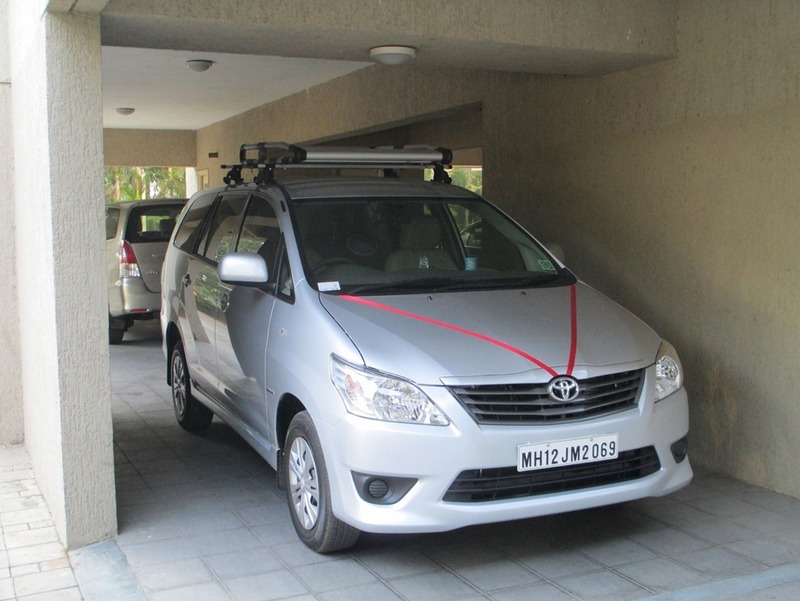 With all these facts I figured that by buying now and selling when I leave India, even with paying a driver and buying fuel I should break even (or even do better) relative to renting a compact car – and I’d have a much better vehicle. But, how to get it? I didn’t want to buy a used vehicle from a private person, because I wanted to make sure all the needed registrations would be done properly. I was also confused a bit by something I read in an expat guide, which said foreigners could only own a vehicle after 1 year of residence. 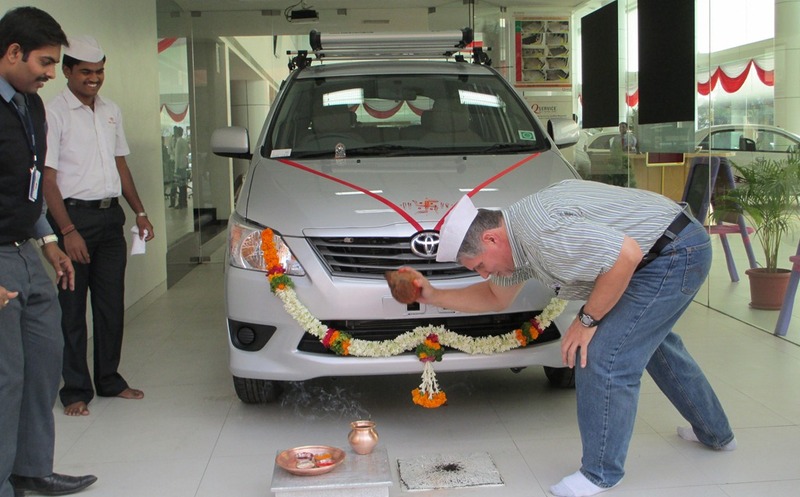 That was not true, as I found out when I visited a dealer, DSK Toyota and its showroom in Hadapsar. The folks there explained there were no problems and so that’s where I made my purchase. DSK handled all the paperwork and registrations on my behalf – could not have been easier. Peda is a kind of sweet made with milk and sugar, and flavored with pistachio, saffron or other spices. 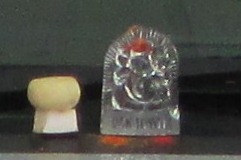 We shared out some peda with folks from the dealership, moved the Ganesh to inside on the dashboard, and our puja was done. 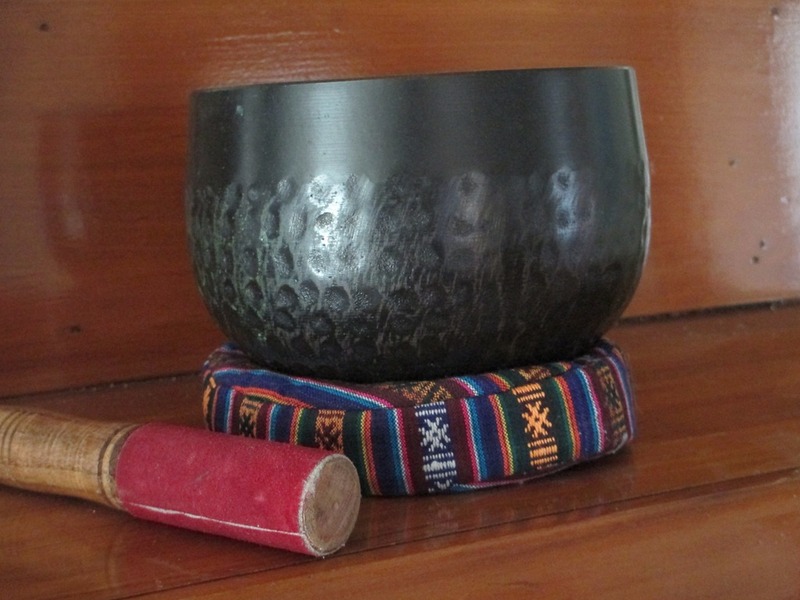 The coda to the ritual was to provide a few small tips to my sales associate and to my puja helpers. I’ve been driving in the car – with my driver Rupesh, of course – since Tuesday last and a finer ride can’t be found. Based on wife Kim’s suggestion I call the car “Coconut” – we, like many US folks, have the habit of naming our cars so there’s no reason not to name this one. Rupesh approves – the coconut after all is sweet, sustaining, and – aside from my smashing example – quite sturdy, all useful attributes in a car. 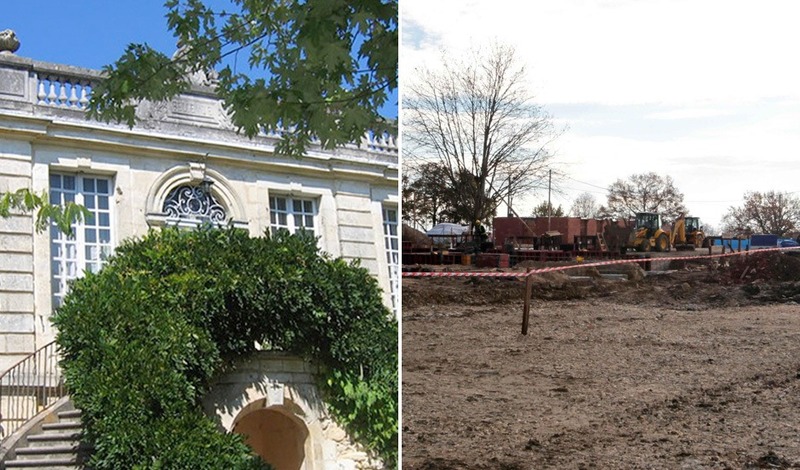 This is only one world … who knows what goes on elsewhere? 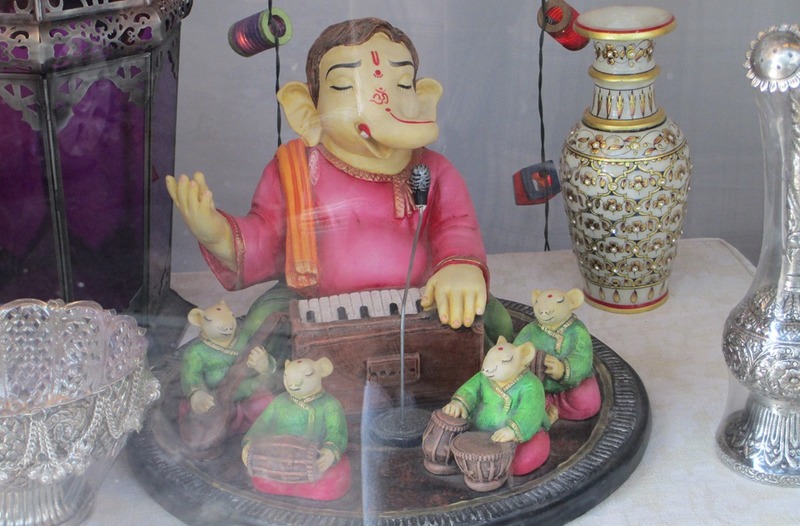 While I’m here in this world – India – I’m happy to let its ways guide me. And as my family knows I’ve more than once made my own small rituals to commemorate a passing friend or the end of the year – puja is no different. Till next time … thanks for reading.